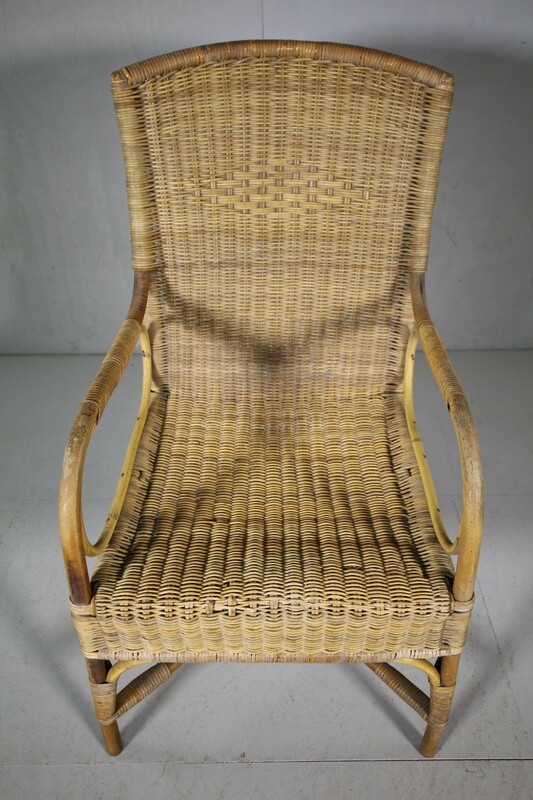 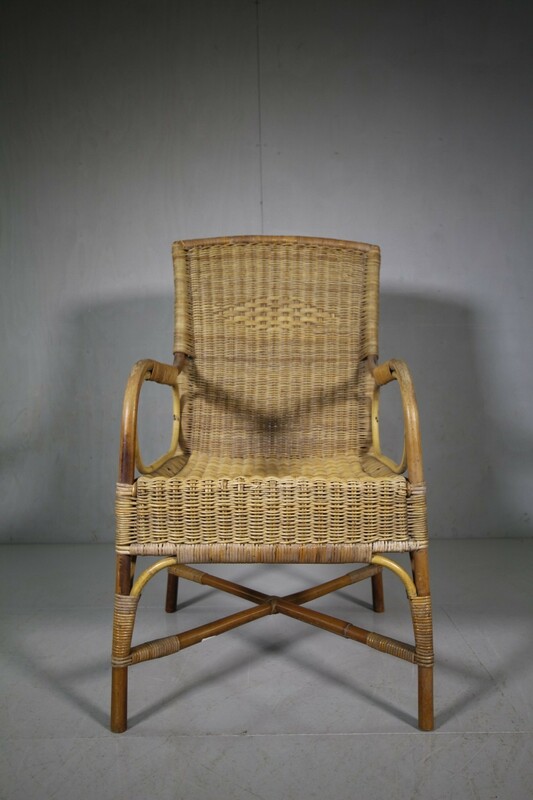 This is a very good quality, English wicker garden armchair by Dryad of Leicester in the thirties. 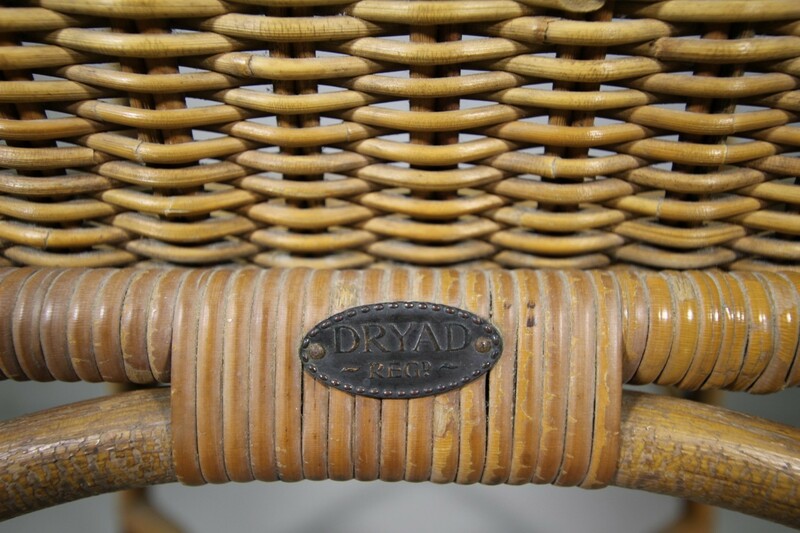 The armchair is in super condition, complete with the Dryad oval metal makers label. 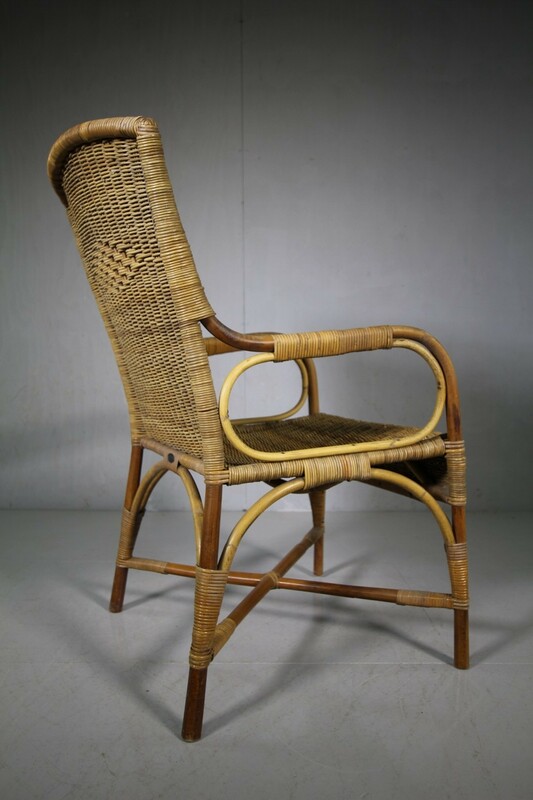 A comforatble design and having open arms and a diamond pattern to the back rest. 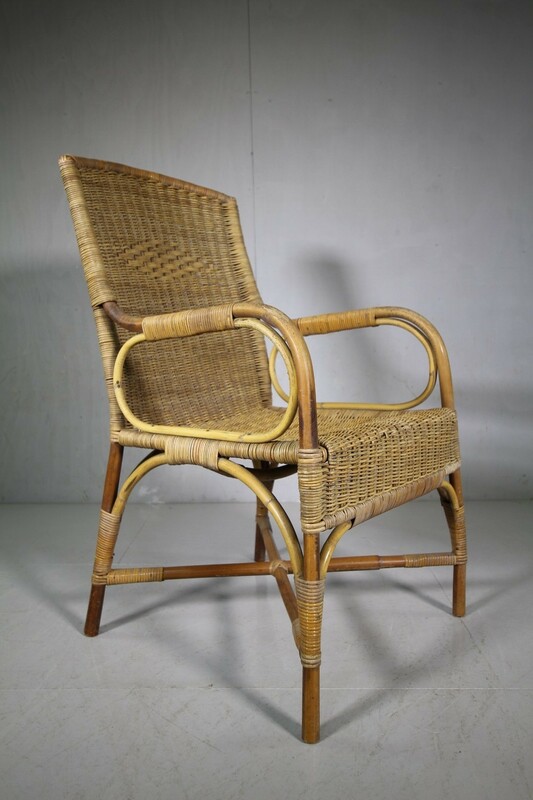 Originally made to be used in the garden or garden rooms, but would look super in a bathroom or bedroom.